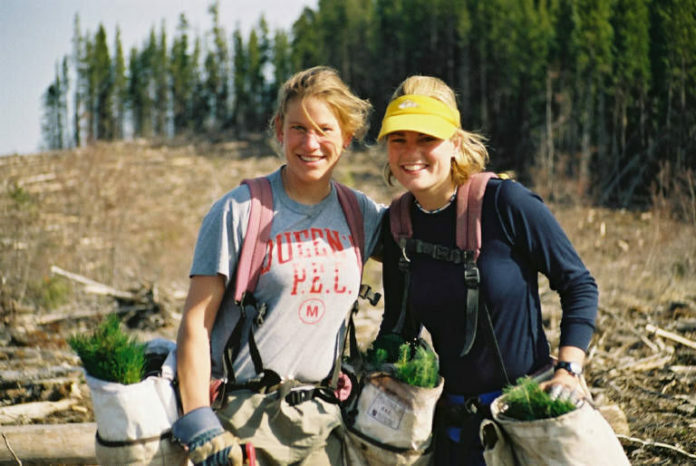 There are a couple of essential pieces of gear that you need to plant trees. Depending on your employer, you may need some more stuff. Planting bags are pretty much standard issue with very little variation. Make sure your bags have 3 (or 4) pouches, padded shoulder straps and a waist belt. Although treeplanting bags are pretty much the same, some manufacturers have recently been producing some poor quality bags. If you buy a good set of planting bags they should last several years or more. 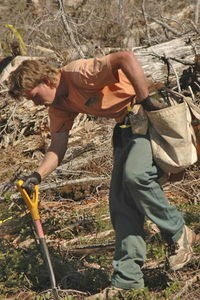 There are several types of shovels suitable for treeplanting. Which type you select is largely up to you. There are a few differences. D-Handle shovels are by far the most common however some planters go for a straight handle or staff shovel, an Oval D or an Ergo D.
Full size blades are heavy but good for planting trees with large root systems. Speed spades have a smaller blade which is lighter and easier to get into the ground. Speed spades are a great backup shovel for first timers. Inserts go inside your planting bags. They have reflective material that will keep the trees cool while they are waiting to be planted. Generally there are two types of inserts; high and low quality. High quality inserts will cost you about two dollars more per insert, but will last at least one season, where low quality inserts may not last a shift. 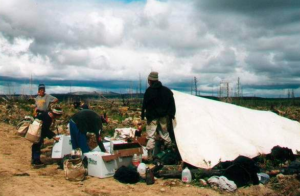 If your employer requires you to bring a Silvicool tarp to cover your trees on the block, make sure you buy a good quality one. Write your name all over it on the white side with your marker and you will have it forever. Plot cords are used to determine quality and density and are usually available through the contractor at the start of the season. If not, you can pick one up for about $5.00. Some people try to get away with rope as an alternative. This will work for the short term, but will fray and fall apart after minimal use. Regularly monitoring your own quality will make you a better and faster planter. 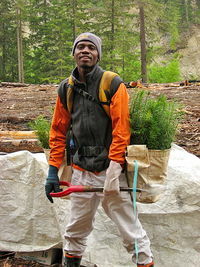 Learn more about throwing plots on yourself in the Making More Money section on Tree-planter.com. Bushpro Supplies of Vernon, B.C. has been making this highly specialized tree planting equipment for over 25 years now. 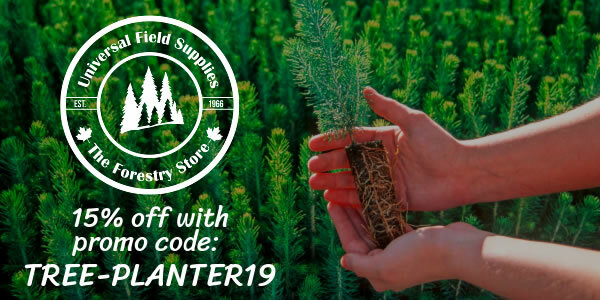 Their shovels, bags, Silvicool products and other goodies are sold and supported by a strong dealer network that spans Canada. To find out where to buy Bushpro gear, visit the Equipment Retailers link at the top of the page. 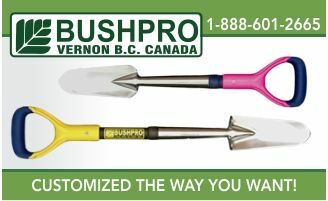 To visit the Bushpro website, go to www.bushpro.ca.